Has your 2-year-old ever said something to you (repeatedly) and you couldn’t figure out what they were saying? Communicating with toddlers can get a little frustrating, especially when they’re using a limited vocabulary and a lot of babble. Books are a fantastic way to help your baby learn new things and expand their vocabulary. In this article, we will be looking at some of the best books for 2-year-olds that you and your child can enjoy. A Pet From the Zoo? What Is the Reading Level of a 2-Year-Old Child? Every child is unique. Some learn how to read faster than others and some will need help to get started. Rather than fret over YouTube videos that depict young children reading, focus on reading to your child. 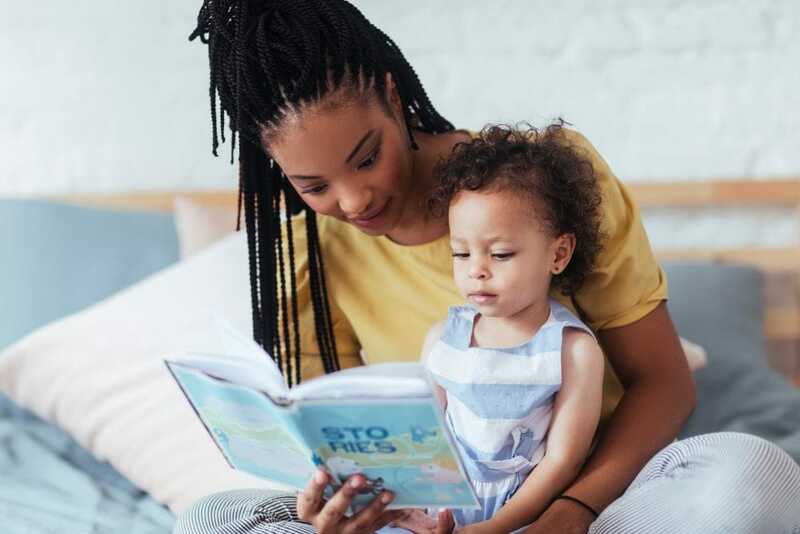 Reading to your toddler is extremely beneficial, as it improves their language and literacy development. Plus, research shows that it boosts their social and behavioral skills. We’re talking mental well-being, emotions, and relationships with others (source). You’ll also have the chance to bond, goof around, and have fun with your baby. You may come across the term “pre-reader” when shopping for books. This simply refers to a child who can’t read yet or one who is just getting started. For 2-year-olds, most children will fall under the pre-readers category. Colorful and simple illustrations are more attractive to young children. Books with rhyming and repetitive words will strike a chord with your child. They’re easy to memorize and predictable. Your toddler will be happy to join in and finish the sentence (source). Choose age-appropriate books. A 2-year-old’s attention span is quite short. A book with a complex storyline, no matter how good, may not hold your baby’s interest till the end. You want a book that has short, easy to understand sentences. There are many good books available that you can buy for your child. We’ve put together a list of the best and hope you find them as enticing as we did. Whether for bedtime or potty-time encouragement, we’ve got your back, mom. How About a Pet From the Zoo? 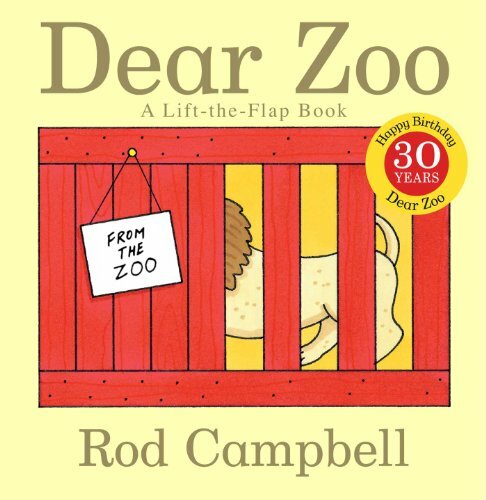 In this book, a child writes a letter to the zoo asking them to send a pet. The zoo sends a pet, but each animal is returned for either being too large, too fierce, too tall, or too naughty. Will they find the perfect pet? This interactive book offers minimal clues to help your baby guess which animal is under the flap (container). 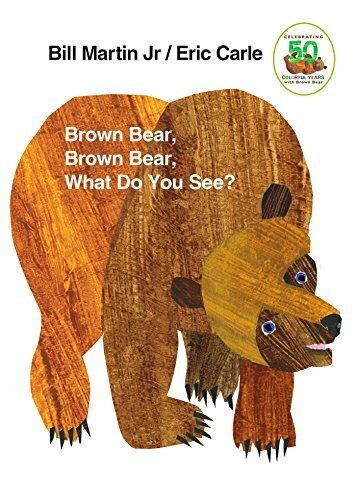 With repetitive phrases, large text, and bright illustrations, it encourages pre-readers to participate. The touch and feel elements throughout the book are great for sensory development. It also helps refine children’s motor skills and hand-eye coordination. It’s a must-have for 2-year-olds! 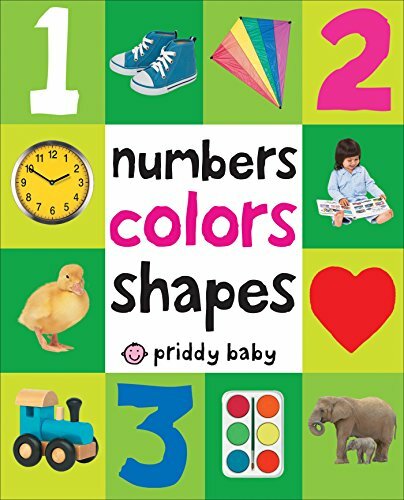 This colorful book is an excellent way to introduce your 2-year-old to different numbers, shapes, and colors. It uses simple texts to connect pictures to their names. The book contains illustrations that your child may be able to identify in their everyday life. This promotes cognitive development and helps them expand their vocabulary. Tired of trying to teach your kids the alphabet with little success? This board book is a fantastic way of introducing your little one to the topic without boring them. 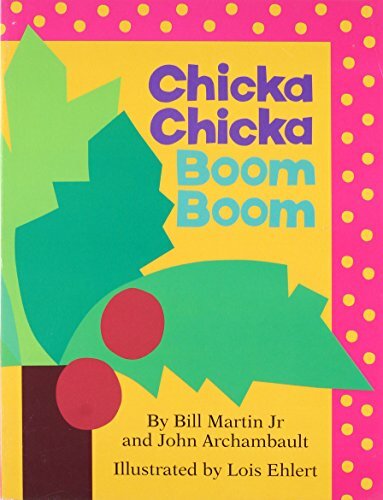 Chicka Chicka Boom Boom is the story of the 26 letters of the alphabet, racing to the top of a coconut tree. As the letters climb the tree, it bends and groans under their weight, and finally snaps. The letters come tumbling down. The book enhances letter recognition in your child and may help them master the alphabet. The story goes on, with the bear asking the red bird in return, the red bird doing the same with a duck, etc. The questions continue, and your child will have to turn the page to see what’s next. All illustrations are colorful, allowing your child to learn colors at a tender age. The predictable text is easy to grasp. Your child will soon “read” or sing along as they turn the pages. This is a delightful and totally recommendable alternative to smart screen gadgets. The first page has a single yellow dot that turns to two yellow dots on the second page when pressed. It’s a magical journey, as the numbers, sizes, and colors of the dots transform from page to page. 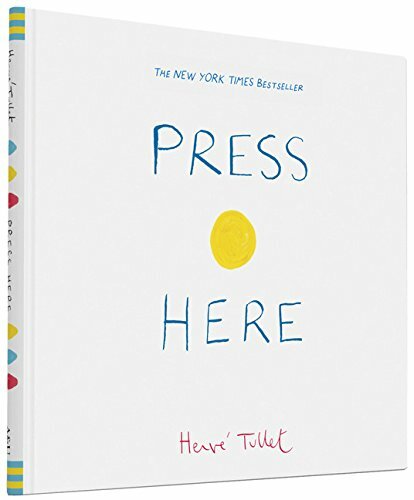 Your child will have fun pressing the dots, shaking the pages, and tilting the book. This book encourages kids to participate in the storytelling adventure and will help them identify primary colors and numbers. Do you need help potty-training in a fun way? This read is about a baby who thinks about where he should “go.” In his diaper or somewhere else? The baby explores where the cat and dog go to potty but doesn’t think he can go there. Finally, the baby decides to try out the toddler potty. Baby succeeds in using the potty and celebrates with parents. This endearing book is an incredible way to help you prepare your toddler for the potty. Try mimicking the faces the baby makes, and encourage your toddler to act the different parts in the story. 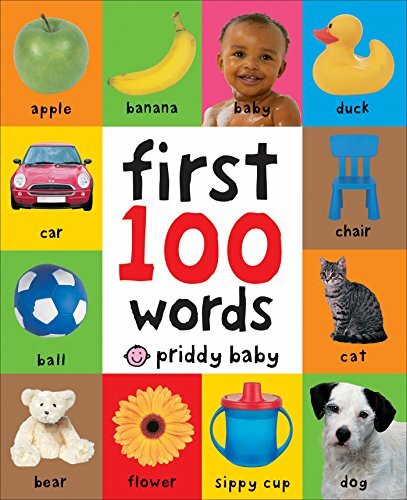 Help your baby expand their vocabulary and communicate better with this amazing book. It comes loaded with pictures and phrases, featuring colors, numbers, pets, and also vocabulary for bed and bathtime. It has memory games to help your little one practice and remember what they’ve read. By connecting pictures with words, your 2-year-old will learn to communicate better. This book combines fun with the practical elements of everyday life. It’s time for supper and Sally the dog has to find her puppy, Spot. She looks for Spot inside clocks, under the stairs, behind doors, in the piano, and other hiding spots. 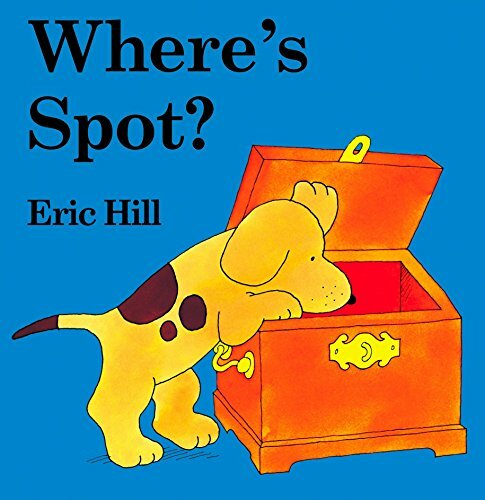 Where’s Spot? Part of the widely popular “Spot” series, this is perfect for teaching your child spatial concepts, such as under, in, and behind. Your child will have lots of fun lifting the flaps to look for Spot. This adorable and funny book tells the story of several wild animals on a boat; they watch the sunset then get ready for bed together. They wash, change clothes, and brush their teeth. They then do some silly exercises before rocking to sleep. 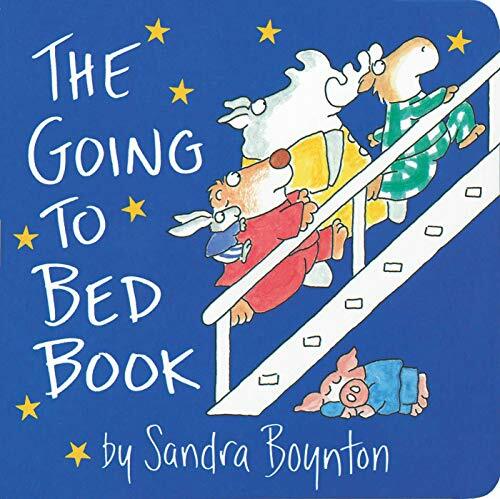 Reading this book may help influence your child’s perception of a bedtime routine. They might want to copy the animals and then snuggle up for that final rock-me-to-sleep. Toddlers will often put things in their mouth that they shouldn’t, much like in this book. Take a moment with this book to teach them, while having a giggle at the same time. The last two pages contain more examples of yummy and yucky things, a perfect chance to remind them that some things we eat, and some we don’t. 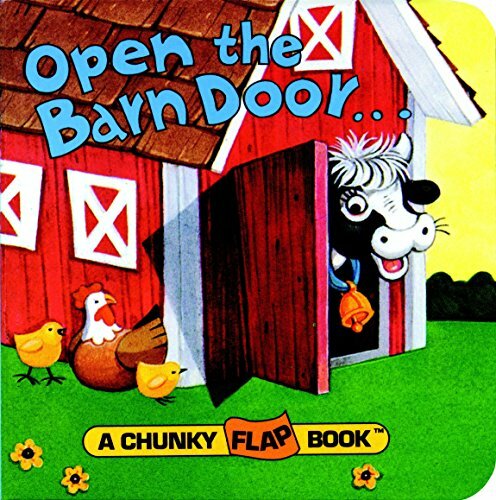 Take a trip to the farm with this little book and enjoy the sights and sounds often found in the barn. The book is all about farm animals, such as horses, cows, hens, pigs, ducks, and goats, among others. One page asks, “Who says…?” On the opposite page, hidden under a unique flap is the animal that makes the sound. The pictures are beautifully illustrated and your 2-year-old will enjoy imitating the various barn animals. Reading to your child remains one of the best ways to instill a love for knowledge while bonding with them. So, what are you waiting for? Let’s get reading! With so many great books out there, it’s hard to choose one over the others, but Dear Zoo steals the show for me. It creates an air of excitement and mystery as the child tries to figure out what the zoo sent them. Rather than sit passively listening to you tell a story, your child will be more enthusiastic about participating. We hope you’ve enjoyed our review of the best books for 2-year-olds. Do you have a favorite book? Let us know in the comments section below.